Lawyer Raymundo Larraín Nesbitt argues the wealth-tax is a desperate and counter-productive measure from a flailing government. 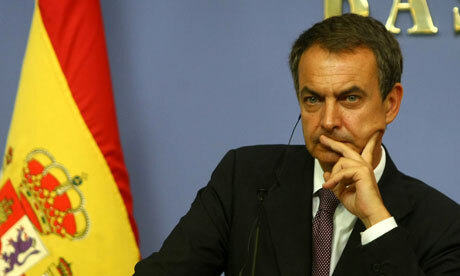 In 2007 Spain’s Socialist President, Mr. Jose Luis Rodriguez Zapatero (pictured above), was mulling over a second term in the upcoming presidential elections of 2008. He was on the prowl for some landmark tax concession that would confidently enable him to coax the middle class vote giving him the key to a landslide re-election. Despite being previously briefed, by his well over six hundred in-house presidential advisors, regarding the unfairness of Spain’s wealth tax (patrimonio) and how its goal of taxing the “super-rich” was self-defeated, as in truth no affluent taxpayer had ever paid it, he remained largely unconvinced. A prisoner of his deeply embedded political beliefs, he set about on a campaign of his own and privately contacted, one by one, Spain’s upper crust. Much to his surprise, but not to that of tax experts, none of Spain’s Forbes’ list billionaires was liable to pay for this tax for a number of different legal reasons. Convinced at last he had an ace up his sleeve; he decided to play this trump card and announced the abolition of Wealth tax stealing the limelight only three months ahead of national elections. Mr. Jose Luis Rodriguez Zapatero, 2007. The fact is Wealth tax was never abolished; it was merely suspended as from the 1st of January 2008. Which means it was “put on hold” by the Government until an appropriate time came for it to be reintroduced. Erm, now? Fast-forward a few years and only two months ahead of this year’s national election this tax is restored by the same president who only three years ago claimed it was unfair and taxed middle classes’ savings. By Royal Decree 13/2011, of 16th September, Spain’s Wealth tax has been formally restored being published in Spain’s Official Law Gazette on Saturday the 17th September 2011. As from 2012 it will be enforced merely as a “temporary” measure lasting only two years and will be affecting an estimated 160,000 taxpayers. In Spain temporary legal measures have been known to last over a century, so I advise this is taken with a pinch of salt. Wealth tax itself was formally introduced in 1977 as a temporary tax and has been going on strong for over three decades now; the irony. Personally, I would not object to this exceptional temporary measure if the super-rich were truly taxed by it. But in my professional career I’ve seldom come across an affluent person paying for this tax. In my experience it is the middle class, and of course non-residents at large, who pay for it. The reason given is that the tax-free allowance has now been significantly tweaked raising it six-fold to avoid levying unnecessarily the middle class (besides other generous provisions). The middle class are no longer going to pay for this tax; that much is true. The super-rich never paid it and somehow I doubt they’ll be paying for it now, so nothing new. “The rich have never paid Wealth tax (in Spain). At a time in which we are undergoing a savings crisis, it will only assist thwarting (much-needed) savings…bringing it back makes no economic sense. In 2007 there were only 130,000 taxpayers with estates ranging from €700,000 to €2,5mn; among them there were no rich”. He went on to add this tax contributed slightly over €1bn which may, on paper, sound like a considerable amount but it is peanuts in fiscal terms. Its hasty reintroduction has, clearly, not been carried out with the purpose of propping up Spain’s dwindling coffers, but rather as a wink to the left-wing establishment on the wake of hugely unpopular, albeit much-needed, financial reforms to bring Spain’s unchecked deficit under control. It is delusional to label it as a deficit-reducing measure. This amount will scarcely dent a spiralling deficit and its real impact in the overall picture will be negligible. But it serves nicely, mind you, its purpose of drawing the media’s attention ahead of November’s national election. It is Mr Zapatero’s appointed successor, Mr Alfredo Perez Rubalcaba (former Minister for the Interior Presidency up until July this year) who, with a view on this fall’s election, has pushed -very- hard for it to be restored so as to win the vote of the socially discontent; its ranks swelling day by day. The latest strategy is to focus on the “rich” as suitable scapegoat for Spain’s financial maelstrom. This action is the latest in a continued string of demonizing social elements, dividing society upon itself creating unnecessary tension, lifting smokescreens (i.e. smoking ban, air-traffic controllers’ wages, bullfighting prohibition in Catalonia, abortion law, Civil War Historical Memory law, religion issues and now the super-rich) so as to deflect the attention of the real problems at stake; shifting blame on others, all the while not being held accountable for one’s own serious flawed judgements. Please note the information provided in this article is of general interest only and is not to be construed or intended as substitute for professional legal advice. This article may be posted freely in websites or other social media so long as the author is duly credited. Plagiarizing, whether in whole or in part, this article without crediting the author may result in criminal prosecution. VOV. 2011 © Raymundo Larraín Nesbitt. All rights reserved. SPI News Feed provides general news about the Spanish property market and related articles translated from the Spanish press. For more in depth news, analysis, and opinion, see Mark Stücklin's blog.